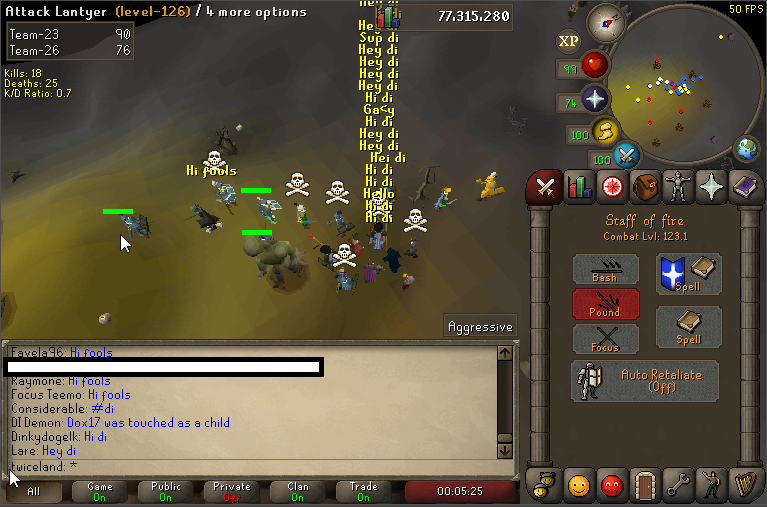 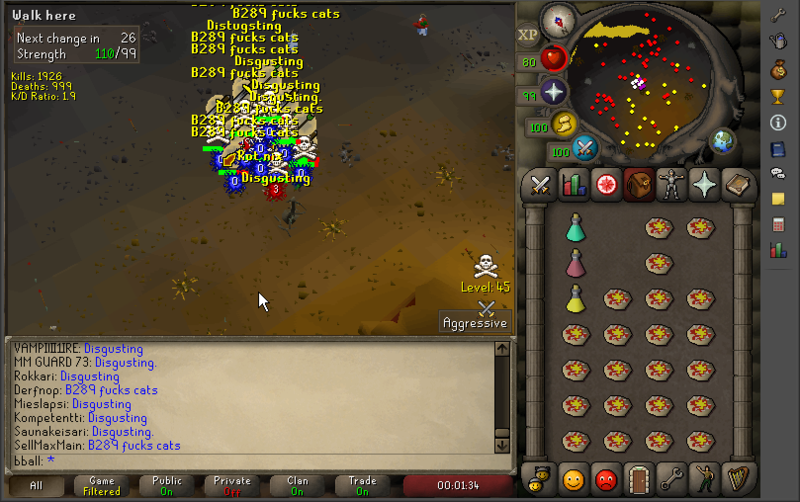 We asked Fools for a F2P Wild fight and knowing there probably wouldn't ever be one of this size or calibre again, it was fitting to make sure it was against them. 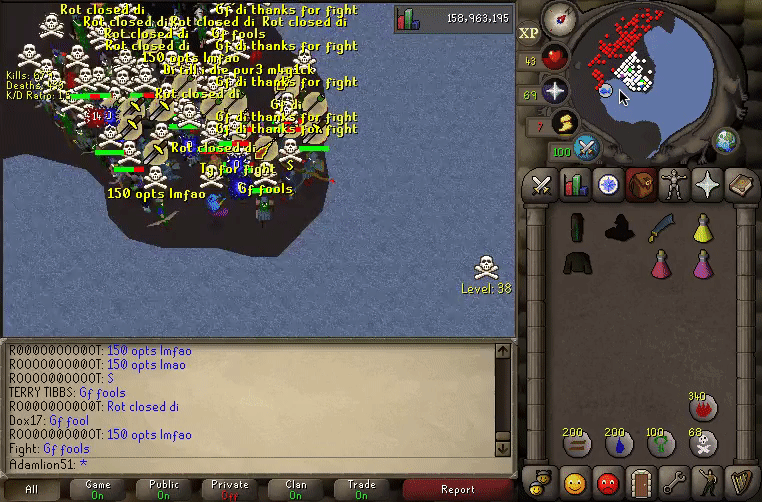 We agreed on an earlier fight (3:30EST/8:30GMT Start), and a 1.5 hour cap. 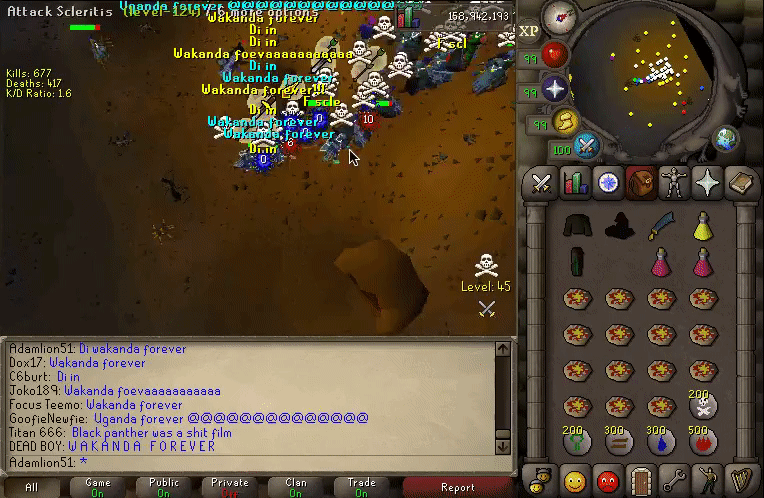 We knew naturally this would draw the entire clan world out one last time as well. 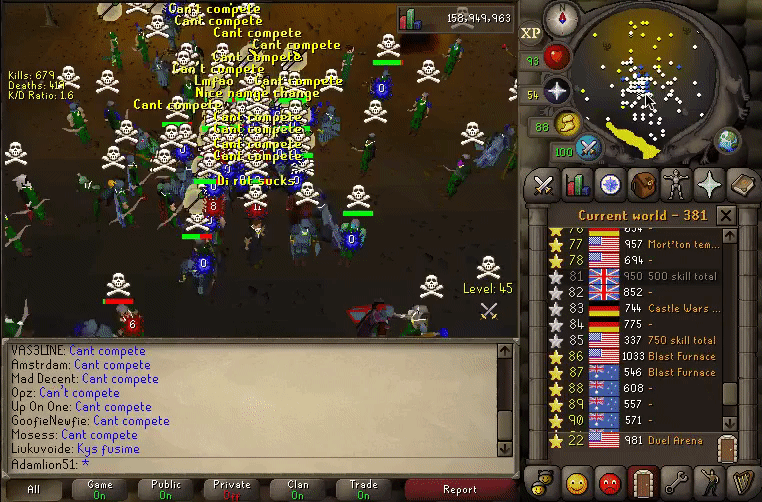 Due to the occasion, we hyped this fight up big and invited people who have shared various memories with us along the way. 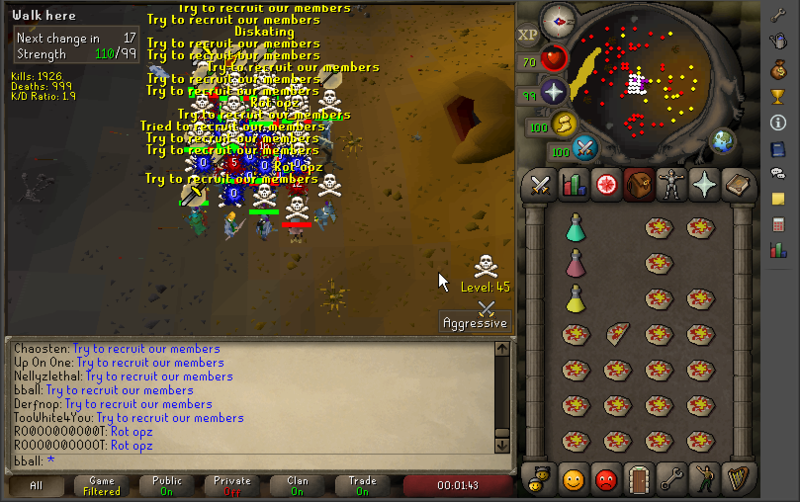 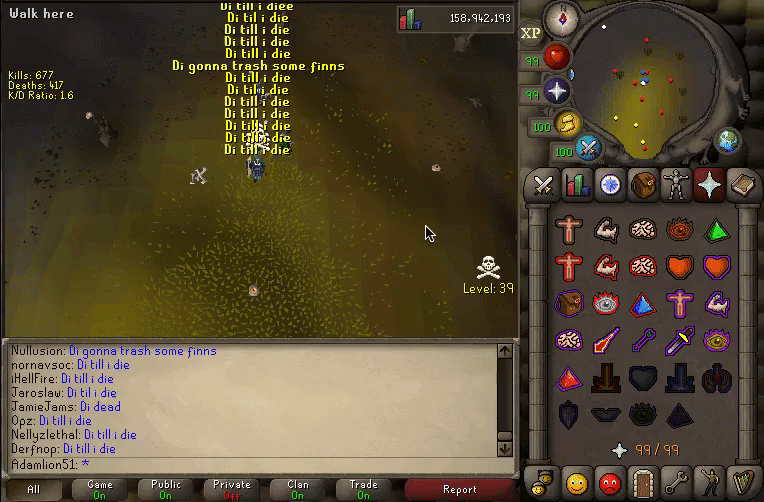 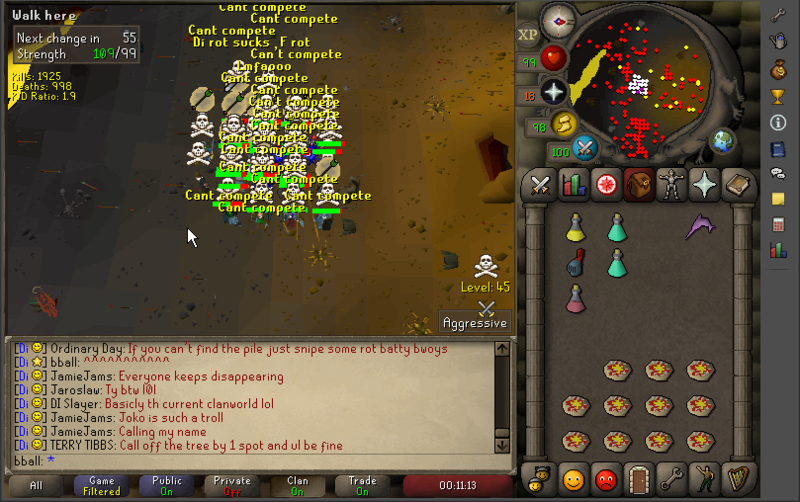 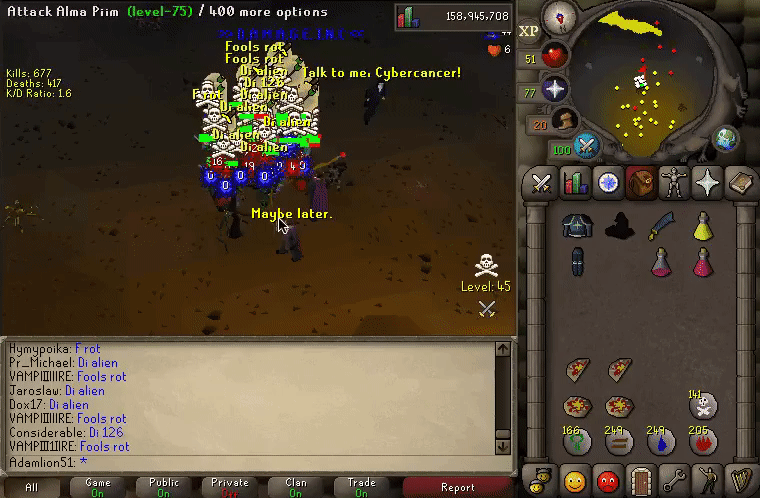 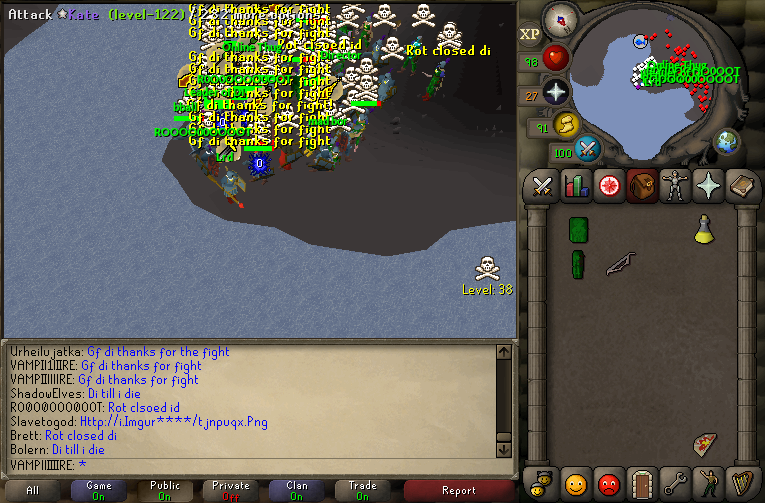 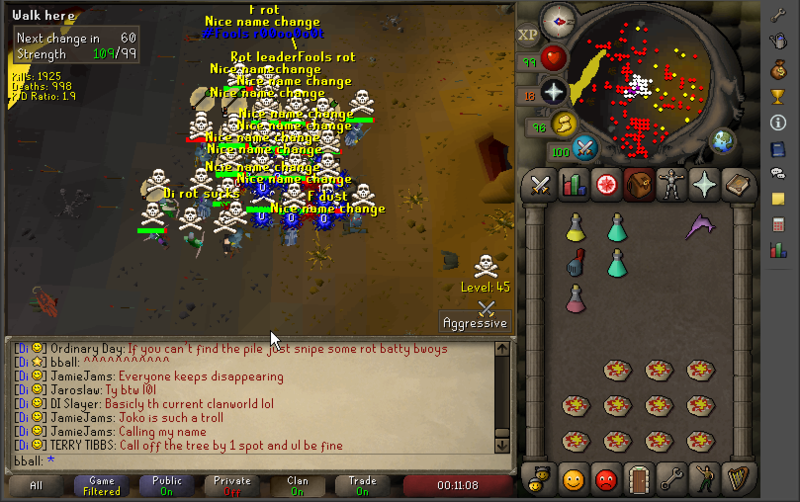 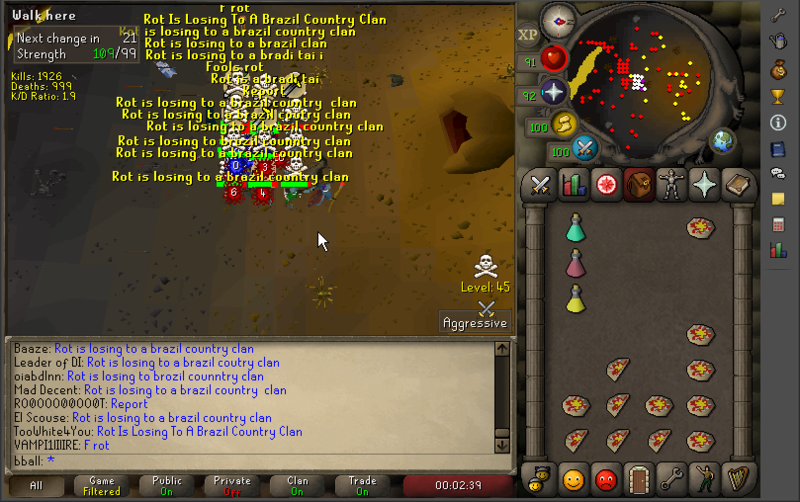 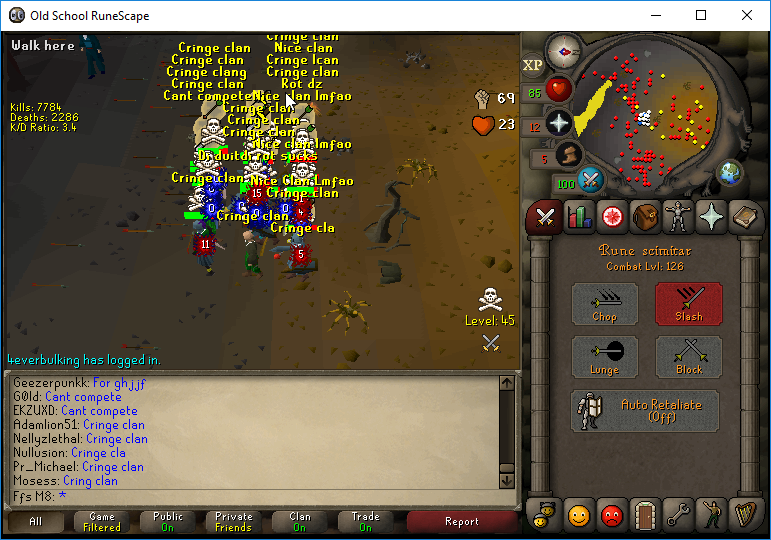 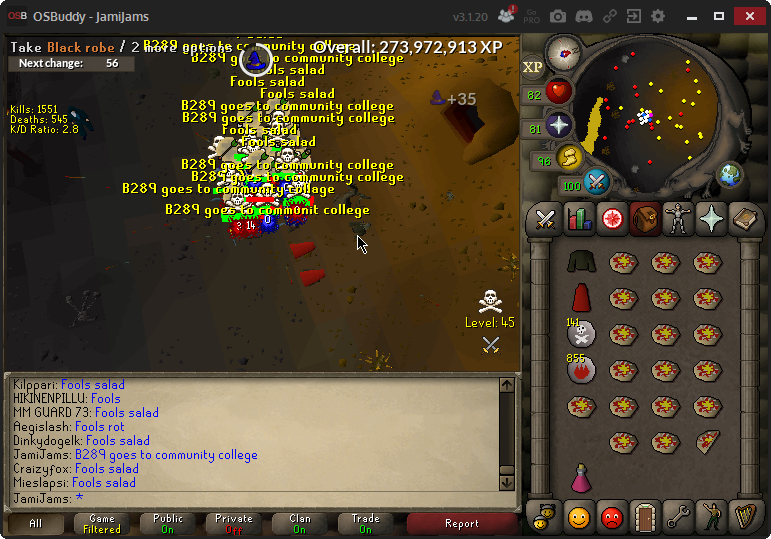 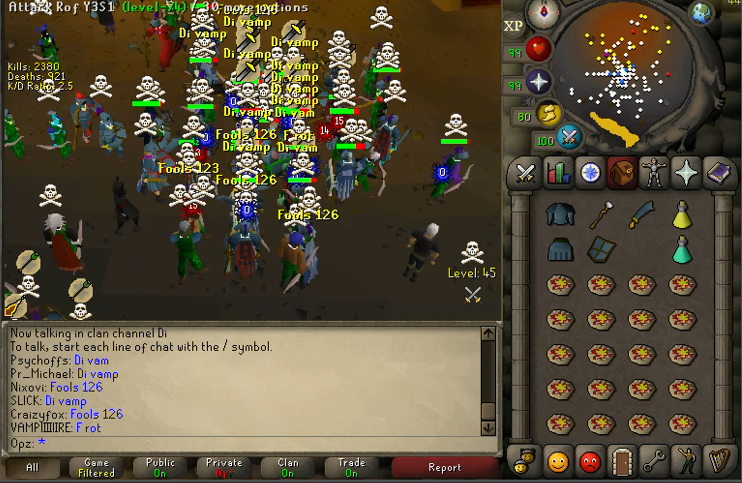 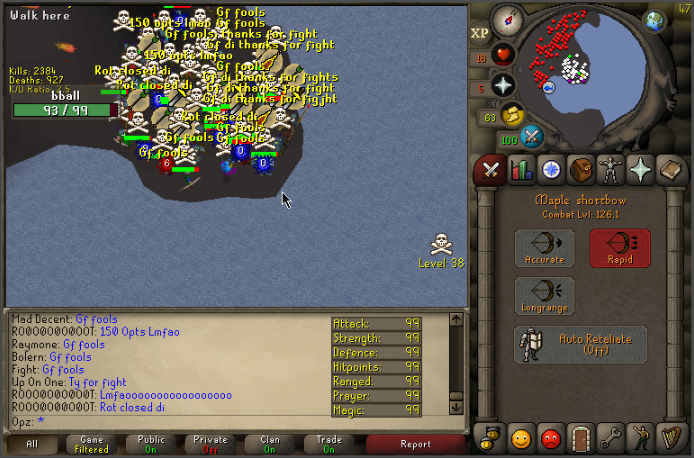 This was our last fight on OSRS and concludes our 5 year+ reign on OSRS and 14 years+ (with closure) including both versions of RS. Hopefully those that were apart of DI past and present enjoyed themselves and appreciated one last hurrah in this game. 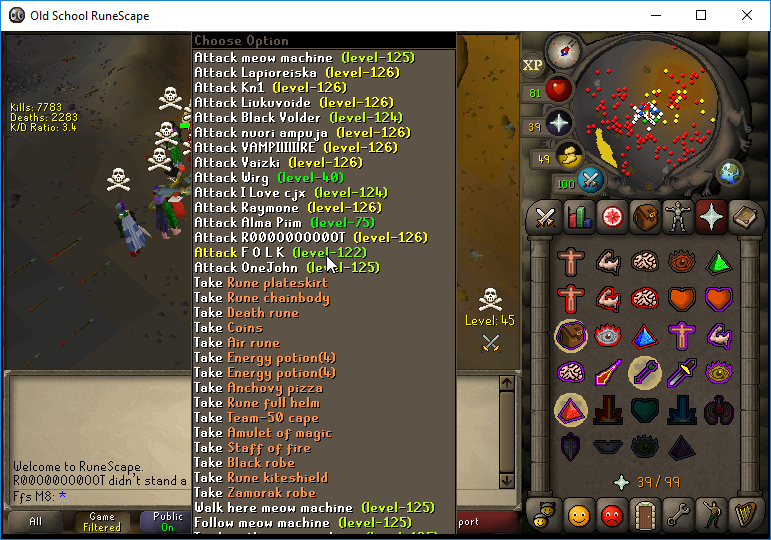 Thanks again for the fight Fools as these are a very rare occurrence and hard to set up. 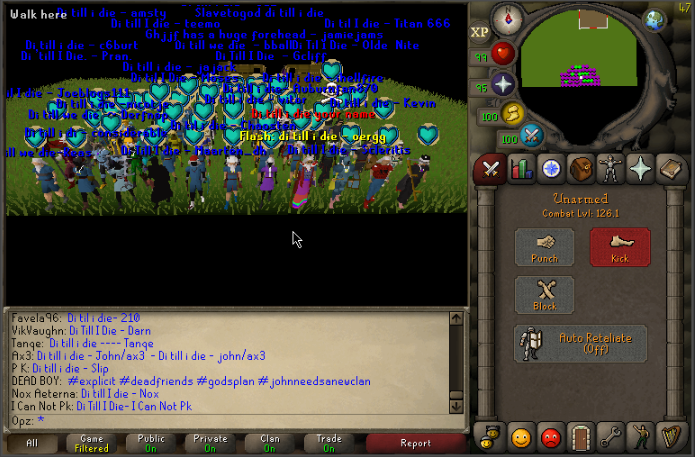 This will be my last post ever on these forums, Thank you RS community for the great years.